Give a lovable animal another chance at finding a home! Come to un Caffe Bar to meet kittens and cats and to fall in love with them. RHR (Rescue, Heal, Rehome) is making a big effort to make these cute critter's life better, do your part as well to help them! 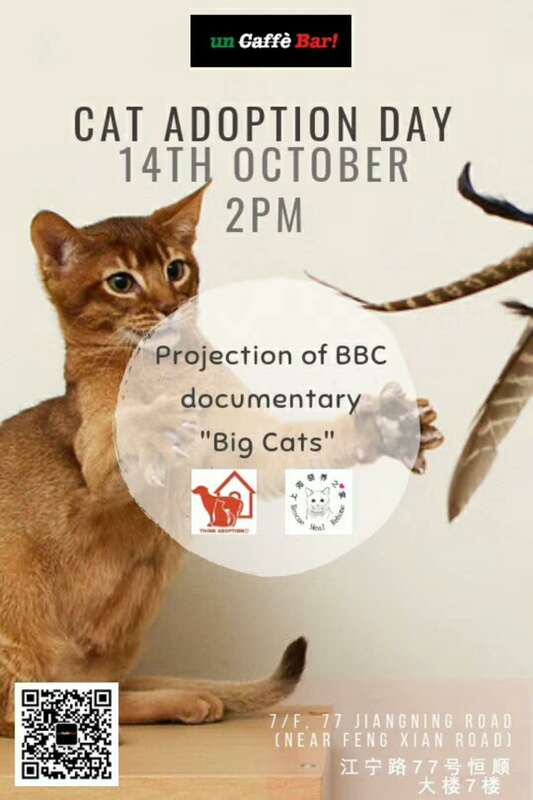 We will be screening the documentary "Big cats" - a BBC production about the "big family members" of domesticated kitties: wild cats. As a plus, you can enjoy happy hour ALL DAY!